A Man Cave is commonly known as a sanctuary in a home, most commonly a garage, spare bedroom, or media room, where a man can escape to enjoy his interests. The design of this space does not need to keep with the decor of the rest of the home, but can be its own style that best suits the tastes of the one using it the most. It is a place where men can do as they please, undisturbed by their partners, children and outside distractions. Sounds like a dream vacation to have in your own home to get away from the everyday stressors! 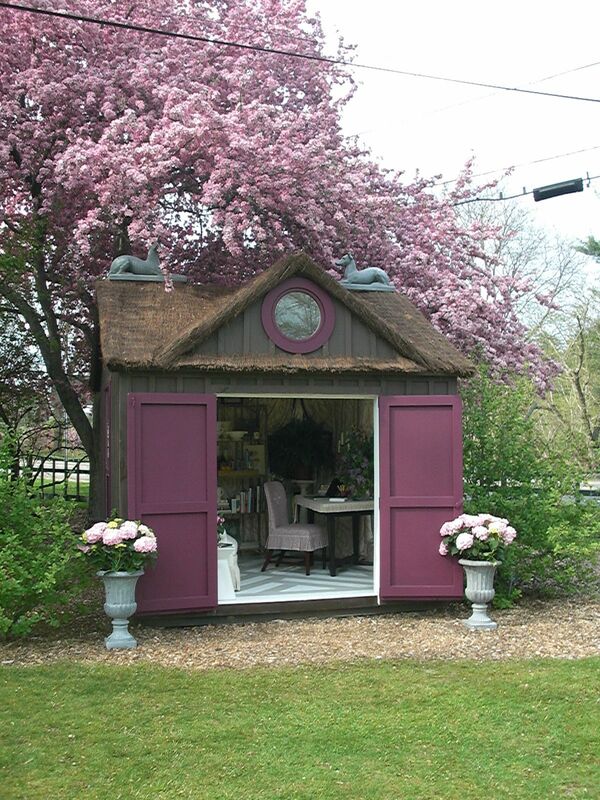 Well ladies, you too can have your own version of a Man Cave by creating a She Shed. 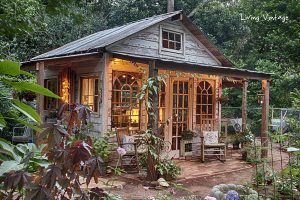 The term “She Shed” reached its peak popularity last November and has continued to stay in the market with women seeking to create their own DIY versions. 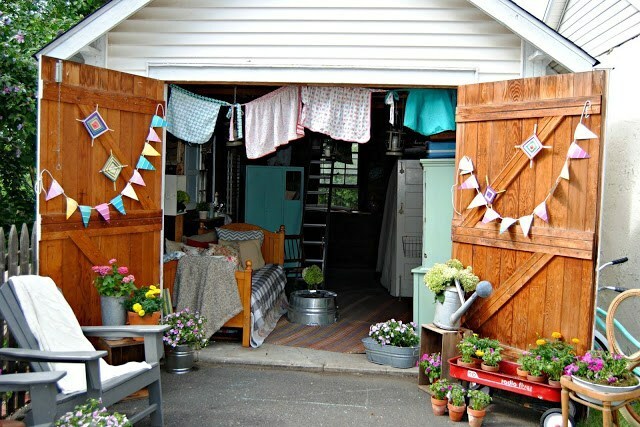 Many women take it upon themselves to design their shed space from scratch. We have created a list of things for you to consider when designing your She Shed, with links attached to original sources for an easy reference guide. From design inspiration to helpful DIY links, you too can create your very own private getaway. When starting any DIY project, you first need to consider the financial impact, time constraints and ultimate goal of what you’re designing. Start with researching ahead of time! Find out if you have the budget or space to even consider building your She Shed. 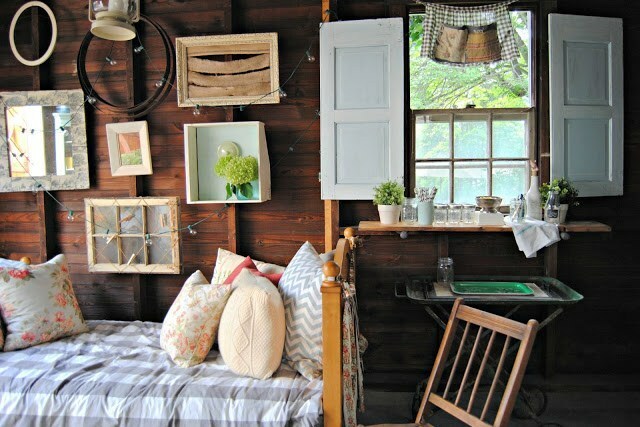 Any unique space in your home can be transformed into a She Shed and utilized in a new way. However, if you want to build your She Shed from the ground up, there’s more you’ll want to flesh out with preplanning. 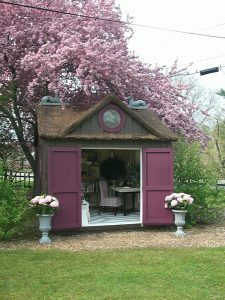 While a spare room or outdoor shed have been the common choice locations to begin a She Shed, feel free to branch out and make your ‘she’ location anywhere. For those of us who may not have a large yard or live in a rental situation where a shed space may not be possible; scope out closets, corners, basement or attic spaces that have the potential to be reworked. Taking these ideas into consideration ahead of time can help make the budgeting and building process go smoothly. With proper planning, you will save time, money and an overall headache from undertaking a major project. Once your research and supply costs are fleshed out, it’s time to establish the various functions of your space. Think about how you want to feel when you are in your ‘She Shed’ and what types of activities you will be doing in that space. Do you want an overall theme tying the designs together, or have things be more free flowing without predetermined features? Is this space for activities with friends and being energized, or more for relaxing and resting? Functionality and aesthetics elements are key components to creating the life behind your space. 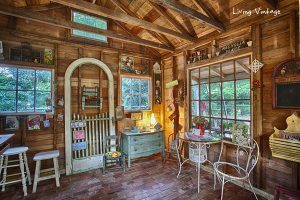 Let these thoughts guide you in making design choices that fit what you’re looking for in a She Shed. If you’re having trouble feeling inspired on ideas for things to add in your space, we’ve got you covered! 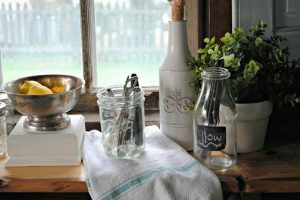 Pinterest has thousands of tutorials, DIYs, and links to blogs and articles from women that have created their own She Sheds. 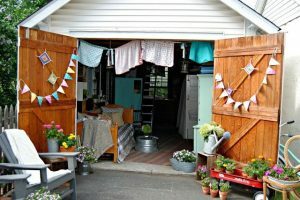 There, you can learn about the processes behind what other women used to build their sheds from scratch, as well as see what other elements you can add to your space you may not have previously considered. Whether you want a cozy country cabin feel, or a regal boudoir for tea or wine, you can find design elements and examples online. One tip to start is to look around at antique stores and garage sales for inexpensive furniture, lighting and decorative element options. You never know what you’ll find when you least expect it! Image Courtesy of Living Vintage Co.
Add lighting if you plan to spend time in your She Shed after work. A fun idea to test drive that creates a beautiful mood lighting in a room is to string holiday lights around the interior of your space. This simple design choice can make a big impact on the overall mood of your room. Deciding between warm or cool lighting will also affect how your environment feels. Warm lighting will obviously create an area with a cozy feeling and relaxing vibe, while cool lighting brings the temperature of a space down and is better for keeping on you awake and productive. Depending on what activities you plan to conduct in your shed space, you’ll need some basic furniture for seating yourself and any other guests you invite. Popular choices include a lounge chair or stylish comfortable seating with lots of pillows, blankets and decorative designs. Many women prefer having a small couch to lay on, along with a desk or coffee table for placing books, magazines and other accessories. Small end tables, shelves and additional storage containers will help free up extra space in your She Shed. Others recommend adding in a daybed or futon to work double duty as a comfy place to sit and read, or curl up in a blanket to take a nap. 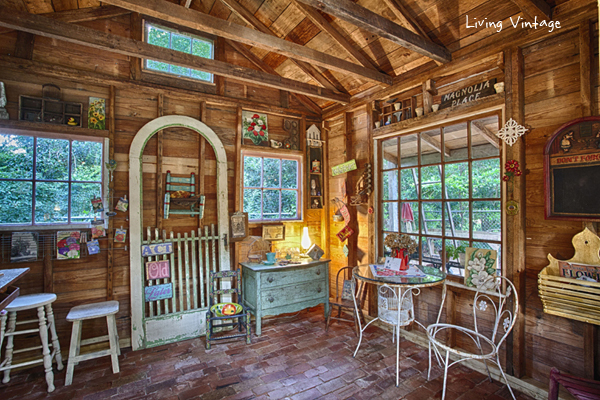 Having things be low maintenance is essential for making your She Shed feel more like a vacation destination. Add in last minute touches with additional furnishings and decorations such as posters, artworks, or live plants. Popular choices for plants include the English Ivy, (which does well in both full shade and sunlight) Bamboo Palms, Chinese Evergreens and Dragon Trees that can survive a few days without water. If you want other entertainment in your space, purchasing a radio or small TV can do the trick. You may even want to consider having a space for your laptop, unless you want to fully “unplug” in your She Shed. Other details like adding a mini fridge or cooler for food and drinks is worth considering for when you’re needing a snack but aren’t quite ready to return to the responsibilities of everyday life.